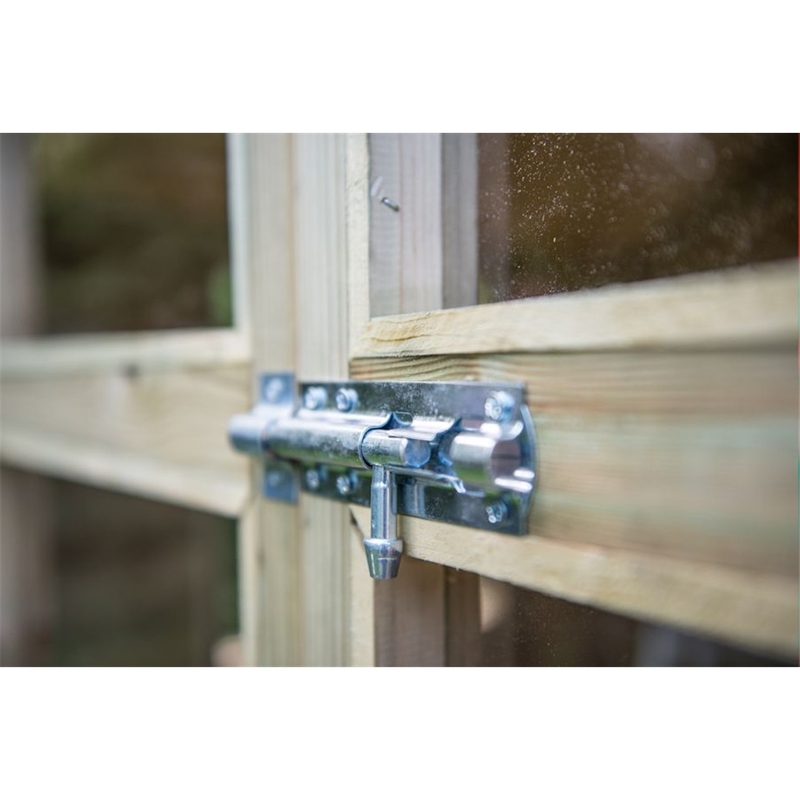 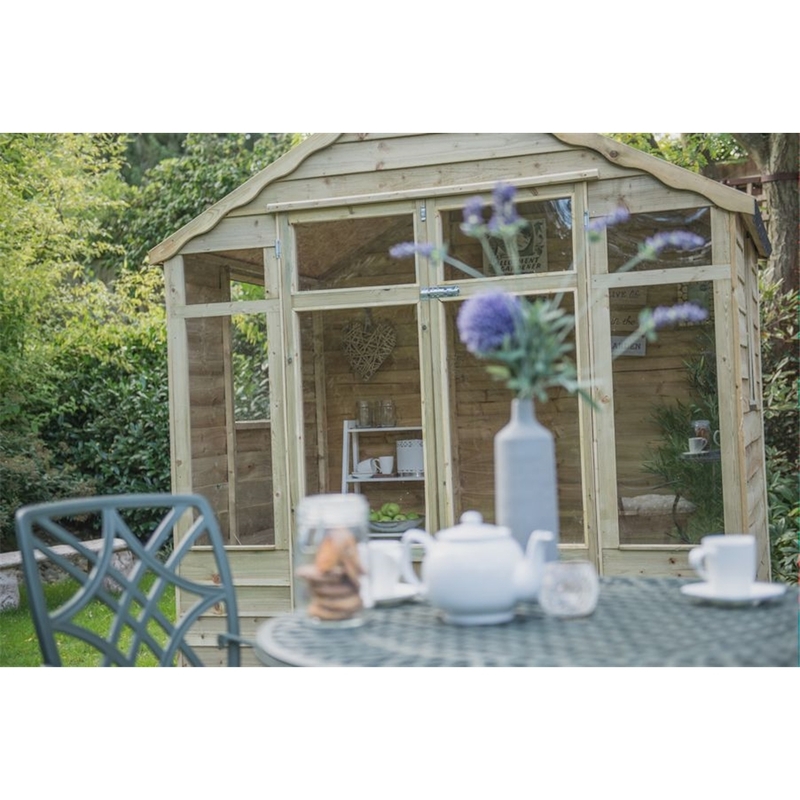 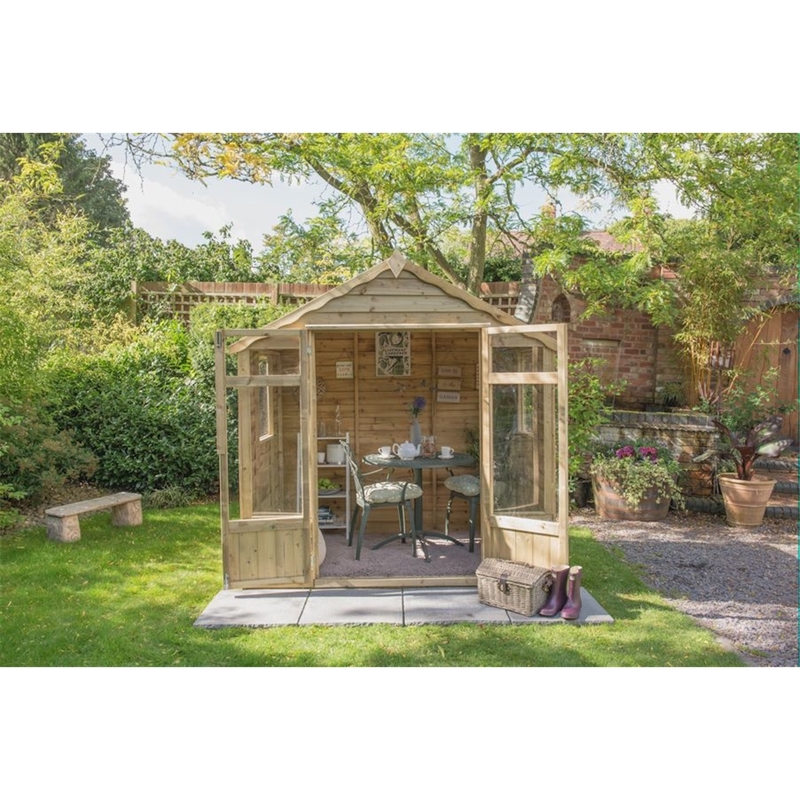 The Oakley pressure treated overlap summerhouse has large fully-glazed double doors and large windows in each side allowing light to stream into this summer house. 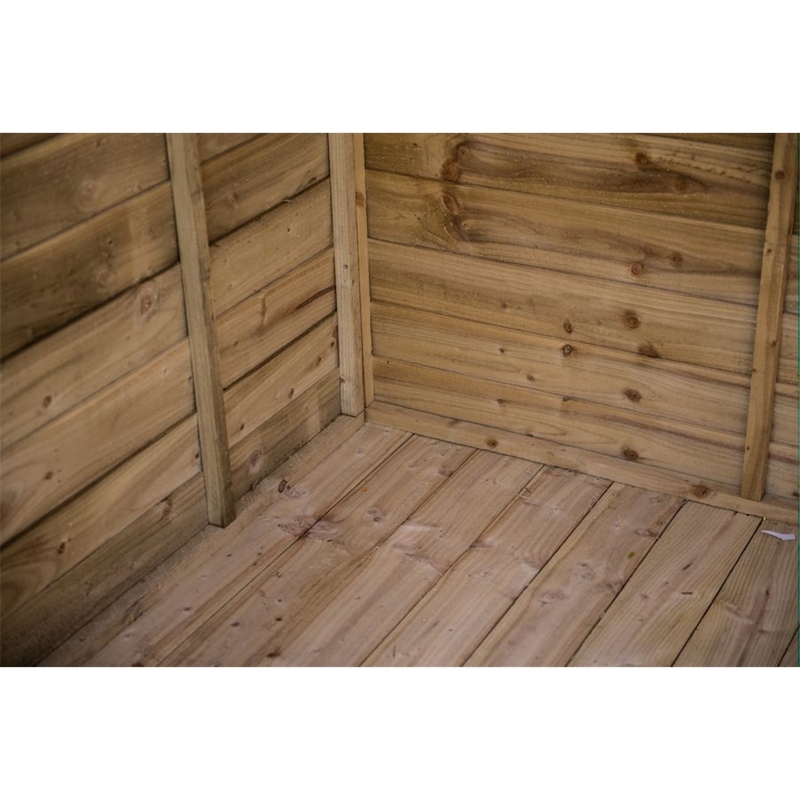 Pressure treated solid timber floor boards offer a stronger and more weight bearing floor. 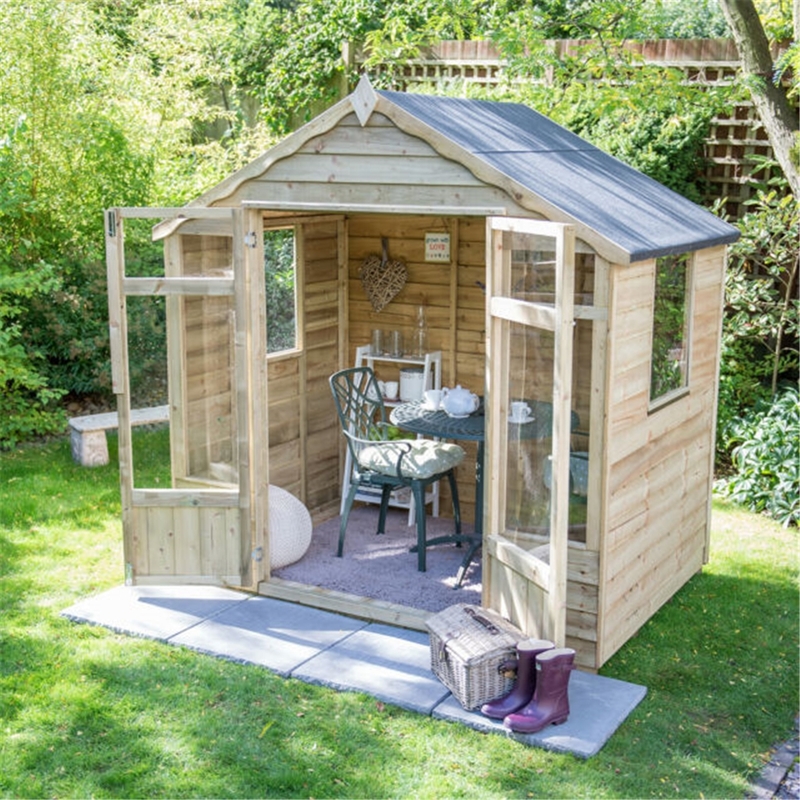 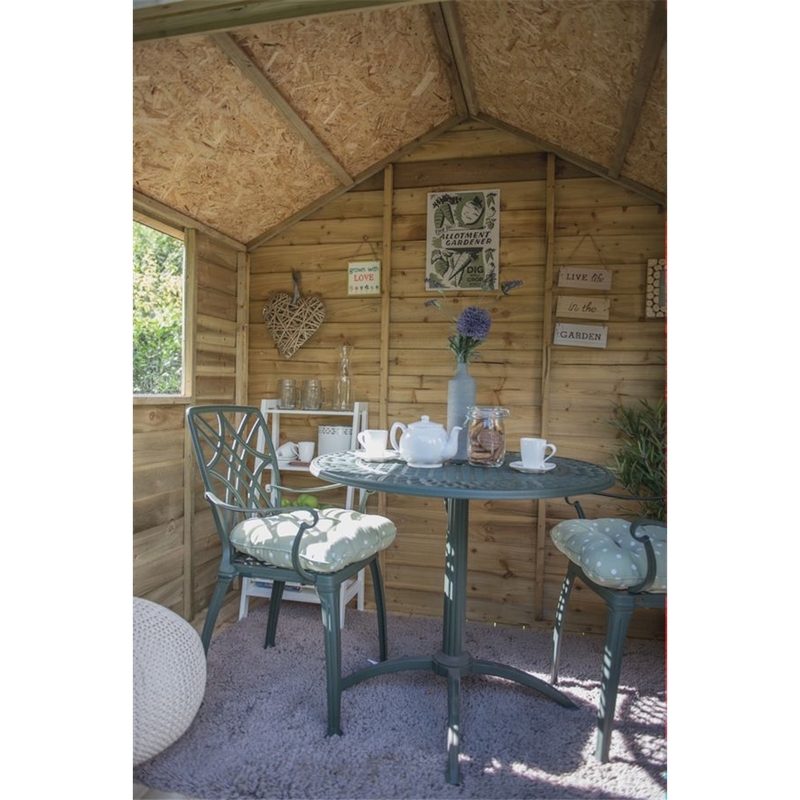 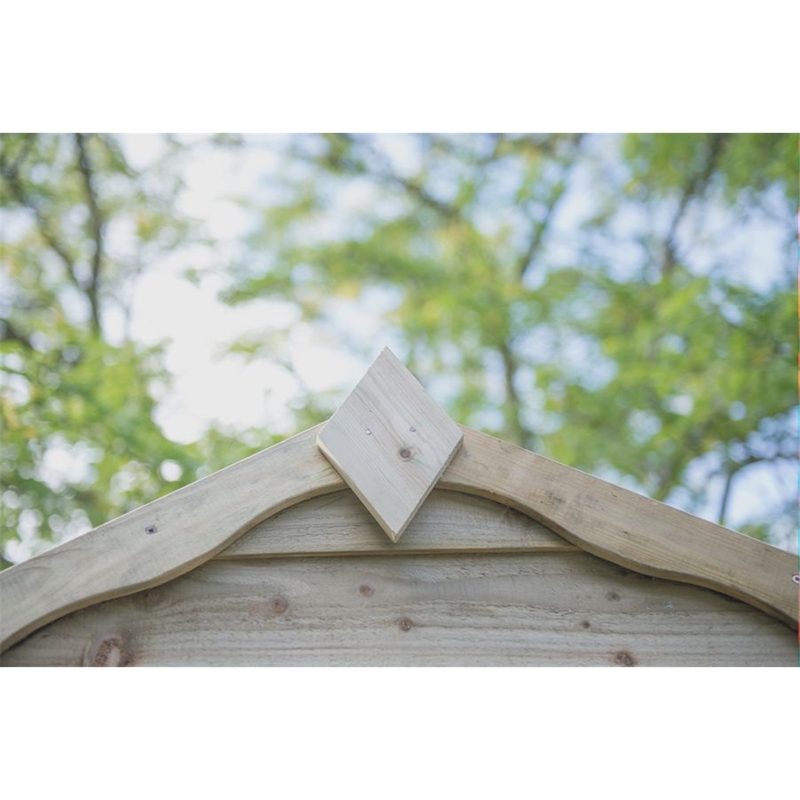 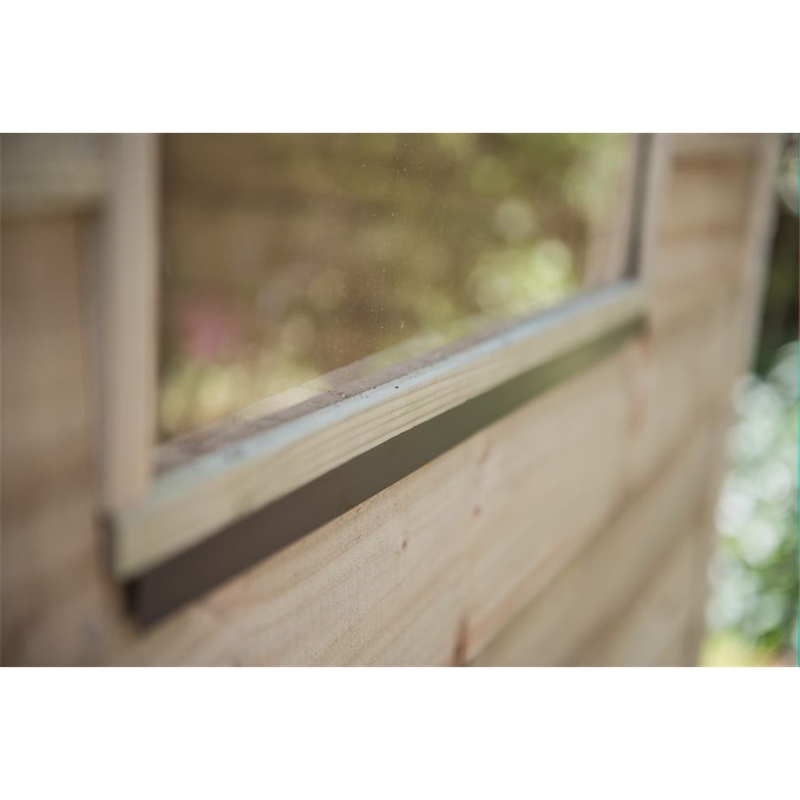 The pressure treated overlap wall cladding combined with the quality mineral roofing felt ensure water runs smoothly off the summerhouse.